I first apologise for the long break from blogging. Yes, the last quarter has been busy as an evangelist at Nokia. Recently out of my love for Flash, I re-skinned one of my old keypad games and published it to the Ovi Store. It’s currently available for Free – limited period. Word Hunt is a keypad version of my own popular game, Happy Sun. Happy Sun made enormous amounts of downloads on the Ovi Store. The game is basically jumbling letters to make meaningful words. You can also request for clues. Yes, I have been away for blogging for quite sometime now and my apologies for the same. The last few months have been quite happening with new launches of innovative products by some companies like Adobe and some new events and work at an induvidual front as well. Now that I got a little bit of time, I thought I would post a recap and my perspective of it. Flash 11 and Adobe AIR 3 is on its way. Molehill will be present full-on in this release. Also coming is Captive runtime for AIR, meaning you can package the runtime along with the app and users don’t have to download AIR separately before installing the app. There are some other cool features in this release as well. With respect to Adobe, we saw the launch of Adobe Muse(codename). For those who missed it, it is a tool for interaction and experience designers and artists to create highly interactive webpages with no programming. It runs on Adobe AIR technology and from its early impressions, it is likely to mature or get integrated into a big software like Adobe Dreamweaver. Why is it amazing ? Cuz you only need a design or aesthetic sense to create rich webpages and don’t have to know jQuery, or <html> tags. You simply design on a canvas and it gets reflected into a website. Another fascinating tool that has garnered some early interest is Adobe Edge, that makes animating HTML components or elements easy. 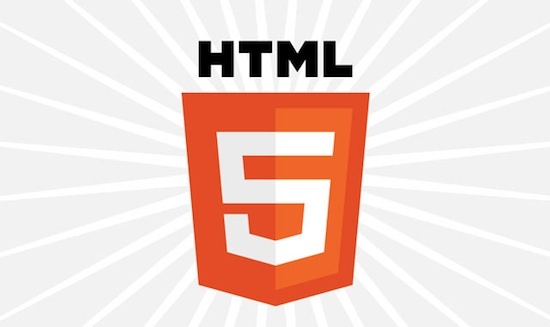 In the dawn of HTML5, it is important it’s learning or adoption is smooth. I would say, this is Adobe’s yet another attempt in capturing the supply chain. The idea was very simple, if HTML5 was gonna make animations, transitions smoother, then it also has to be simple for designers to create those rich animations. It was pretty much the premise in which Flash started gaining momentum. Good designs can be planned and improvised only on a canvas and not from a HTML or text editor. So, Adobe Edge provides a canvas for animation which gets translated into HTML5 codes, making life the way it is meant to be for designers. Seeing such tools emerge, I think interaction designers are gonna be key players in moulding tomorrow’s internet media future. As things evolve, my prediction is that there will only be two major kinds of techies in internet companies – interaction designers (who do all the art/design and basic interaction level coding) and back-end developers (those responsible for data engineering behind the scenes). My argument is that if more and more code components and tools/frameworks( like ones mentioned above) are readily available to make apps/websites quickly and easily, then the work of a front end UI programmer is gonna diminish slowly. With people advocating MVC programming, interaction designers don’t have to bother about data, their schema etc. All they need to do is make sure they have space(real estate) and navigation modes(scrolling and moving between) through that data. What about HTML5 and Flash ? Yes it’s a hot question. With Flash now available as a tool to develop for iPhone/iPad, does it mark its dominance again ? Not necessarily, because it is not available on the browser yet. Consumers or developers don’t know if the app is running off Flash(translated objective-C bytecode) or native code. With the absence of Flash for 3-4 years on mobile platforms, developers have to an extent learnt to live life the hard way, writing native code. And the huge base of 4 million and 2.5 million apps and games on iOS and Android devices are an evidence to that. On the contrary however, we have seen Flash/Flex apps (like Politifact or Machinatum) top the charts of AppStore. Hence, we are getting positive response for using Flash to develop engaging mobile content. However, on the broader context Flash is beginning to disappear. I even heard recently that Slideshare adopted HTML5 leaving behind Flash. Microsoft (announced during showcase of Windows 8) that only a very small percentage of popular websites have Flash content (other than ads). Slowly, we should begin to accept that HTML5 will be the medium of delivery of advertisements on the internet. Adobe has also understood that and pushing its bet on Rich media applications like 1024px Video rendering, extensive use of GPU rendering for improved performance and 3D content as well. Hence we are seeing a shift in roles, the laggard HTML has caught up with Flash Player of ,say early 2000s. Well, I have been doing a lot of small code UI components that are heavily reused. One such component that I made today was a game score ticker. Remember seeing scrolling numbers in lottery or jackpot genre games, where the numbers keeps flipping until a target number? If you have been playing games, you would have noticed similar elements being used score displays on HUDs in games. I recently created a similar cmoponent which I intent to use in a future game. But since this can be used useful to others I thought I should share the code behind it. I am not making it a perfect component that is completely customizable. But its very easy to change its features. The slider above allows you to check the functioning of this component, but is no way tagged to the slider component (Illustration purpose only). 1. Simple to skin and extend – its just a movieclip that you can explore and edit. 2. There is also a feature where you can make it blink. Blinking is quite an important glitter effect as it can capture the player’s attention. It can be used when user crosses a milestone or a high score. 3. Designed for 4 digit numbers but easy to extend. // First parameter is the number to which the score ticker scrolls to (0 – 9999). Second parameter is the milestone(0-9999). You can use this component available as a MovieClip in this FLA(Download). You are free to modify / re-use / distribute it. But I ll be glad if you simply drop in a comment here. Initial Requirements, which involves checking whether you have all the files necessary. Command Line and Terminal, instructions to create and install your debug token onto your playbook. Preparing your App for Debug Mode, which requires some small changes to your blackberry-tablet.xml file. 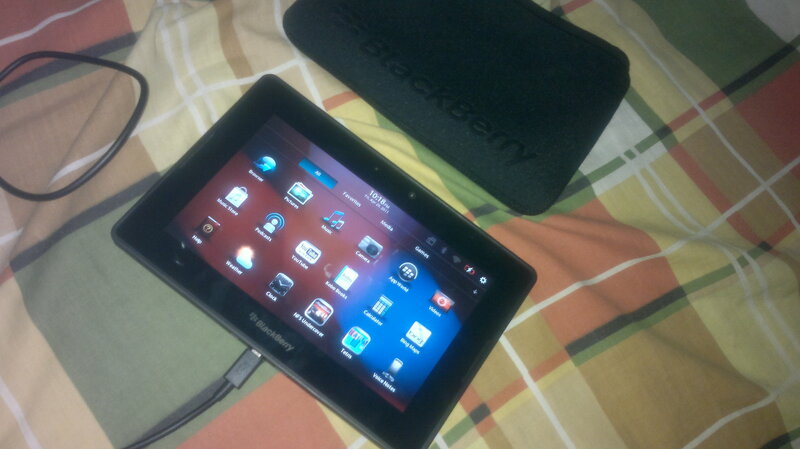 Publish to Blackberry Playbook, which involves creating your .BAR file and sending it to your device. 1. Great hardware build and finish. When you have it in your hands, you get a good feeling. It’s not heavy and it feels right. 2. Though launching one year after the launch of iPad, it equals the hardware of the second iPad or iPad2. It has dual cameras, Bluetooth, HDMI connection ports. So the device on the whole is very sophisticated. 3. What the Playbook lacks is the services around it. It does not have a preinstalled E-mail client or a native facebook or twitter application. There are still many categories in the store that are malnutritioned- without apps or content. However I think the third point will be tackled soon as..
— Android and Java application players will soon be coming to Playbook in a software update, due in summer. This means Android and Java apps just need to be packaged for the Playbook and they will run smoothly on the Playbook. This is an excellent initiative by RIM as it brings a large community of developers with tons of games, apps into the Playbook ecosystem. — When I was working with Blackberry toolkit in December / January it was primitive versions of the SDK that lacked signing and other features. It was not all that developer friendly. I remember in late February, SDK 0.9.3 was released which had tools to sign the apps and RIM have been regularly improving the SDKs (which had both good and bad effects). Around last week, RIM released SDK 1.0.1 and image, which is the firmware currently running on the device. Before this it was hard for developers to gauge platform specific features like contextual menu ( Playbook’s menu appears on a swipe from top of the screen), accelerometer or GPS. Hence, developers couldn’t experiment much. Today, with a mature set of tools and simulators and some devices in the market, I expect the apps to grow. I have also started working on a game for the Blackberry Playbook using Flash, of course. Paul Trani, an Adobe Evangelist here describes the different contextual gestures that are possible on the Blackberry tablet – Playbook. He describes how to design and plan layouts that would best suit for the portrait and landscape orientations of the Playbook. Additionally, the tablet has specific gestures like the Xoom. The bezels of the Playbook are sensitive to touch and act as an important interaction in the tablet’s portfolio. 1. Rapid innovations and new toolkits in the Flash platform. There are a lot of good reasons to develop for the Playbook. One is that, all SWFs that run on the computer / web can be wrapped into an application seamlessly. And Playbook’s hardware and initial showcases have been impressive. The device seems solid. Blackberry has been encouraging developers to code for their platform and have been offering a free playbook upon a successful submission. Blackberry understands that apps in the marketplace are essential for the success of a platform. And to overtake Apple’s iPad, they need to have a launch with a marketplace ready with diversified content. One also has to remember that Playbook is equivalent to iPad 2’s hardware (has dual cameras) and is hence not behind in the race. Anyways, so I created an app for the Playbook that can be used to watch TED videos. I used the TED RSS and it’s published for free. In future, I will be adding newer features to it. Previously, there were loose ends in the process of testing and signing the content for the Playbook. The toolchain has been improving and we are now seeing more blogs writing about it (one is this by Hemanth). Adobe will shortly be releasing a more streamlined process for development. Additionally, Blackberry was taking quite some time to give any response on the submission of apps. It took me 30+ days for the TED app to get approved. Now the approval times have been drastically reduced to nearly 1 week only. Since, my content has been approved I will be receiving a Playbook after its launch. I shall later attach screenshots of my app. 1. There is a package of UI, media and other components that have been designed and developed by Adobe + Blackberry to suit the Playbook and the QNX platform. It is better to use these components when targeting the playbook. 2. The community at Blackberry developer site is hyper brisk. I think there are people answering queries with sleepless nights ! You generally get answers in less than 20 mins time. I used these, when I had initial difficulty with signing and packaging and found them to be really useful. With Nokia going into deals with Micrsoft, it means that Flash Lite’s future in diminishing. Symbian had good support for Flash Lite. But I do believe that Flash Lite is a good platform to target the millions of devices that are today in the market and more that will continue to ship over the next few years. My latest game on the Ovi store, HAPPY SUN has been doing very well. It is also being featured by the Ovi store. Being a Forum Nokia Champion and an avid Flash enthusiast, I hope that Flash soon makes its way into WP7. I am also attending the Adobe Refresh Singapore event tomorrow. Really hoping to catch up with dev friends.